Directed and written by Richard Starzak and Mark Burton. Produced by Paul Kewley and Julie Lockhart. Release date: August 7, 2015. It's very difficult to make a movie in which no dialogue is spoken - in which almost all of the emotions, dialogues, and points are done visually and through animal noises. It's even harder when the film in question is animated, and the animation is performed with stop-motion. Finally, making that movie good is almost impossible. But here we have Shaun the Sheep Movie, from Aardman Studios - based on their television series - that has done all of these things. This is how to do a slapstick animated comedy right. There's only a bare minimum of a plot to Shaun the Sheep Movie. After a series of events that send their farmer into the big city with memory loss, a group of mischievous - and incredibly smart - sheep have to head out to save him. They're joined by a couple of dogs and pursued by the local animal control worker, who makes it his mission to capture them. Shenanigans follow the sheep wherever they go. It is funny. We laugh. 90 minutes pass. We want to re-watch all of Aardman's other movies, remembering how great the likes of Wallace and Gromit or Chicken Run are. The sheep eventually get forgotten about, but they were fun to watch in the moment. Sorry, I've gotten off track here. 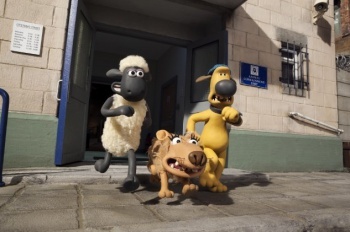 Shaun the Sheep Movie is essentially a 90-minute slapstick adventure involving a bunch of animals doing funny things. It's rarely deeper than that, is incredibly kid-friendly - outside of a few more mature references - and unless your heart is made of lead will keep you entertained and laughing for the entirety of its running time. You'll easily forget about it in a few days, as it doesn't have a whole lot of substance to it, but you might find yourself wanting to watch it again in a year or so. It's that kind of movie. 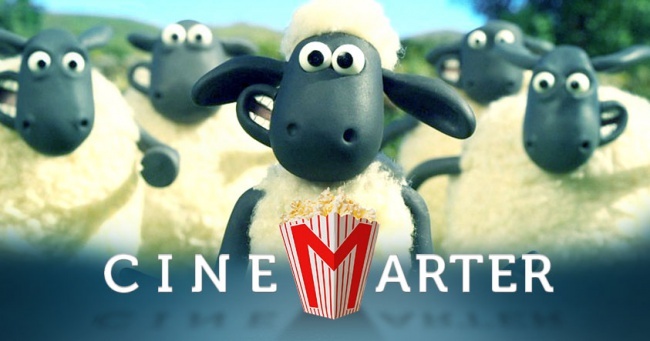 It's a little too bad that there isn't actually a whole lot to Shaun the Sheep Movie to make it more long-lasting in our minds. This is a great form of disposable entertainment, but it's just that: disposable. It has little in terms of plot, only enough when it comes to characters so that you'll be able to (mostly) tell the primaries apart from each other, and not a single thing to turn on your brain. That's certainly fine - not all movies need to be intellectually stimulating - but it does mean that it's going to appeal to fewer adults.